Dekanworld Inc. Tampa Bay's area Cabinets at below home center prices! Dekanworld Inc is creating new and innovative ideas for your home ! Dekanworld Inc. is your one stop call for cabinetry in the Tampa Bay area. We specialize in customer service. We are a small company that will show you the personal service that you deserve in today's market. Whether you are wanting to remodel your present home or choosing cabinets for that new home being built we have just what you are looking for. One of our owners will be your personal representative. That allows you to walk through the design, delivery and installation seamlessly. Everyone in our company will be aware of your project and that keeps an open door on your project until completion. Kitchen Cabinet Designs are as different as there are people on earth. 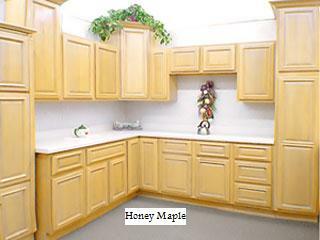 The color of your Kitchen Cabinets can vary as much as the materials that you may want. 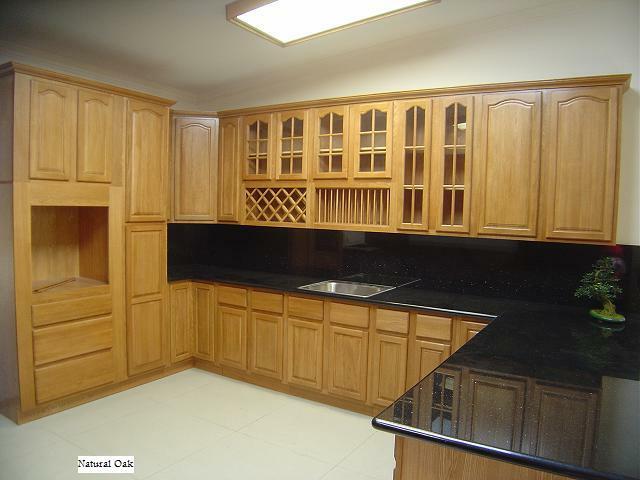 Is immediate Kitchen Cabinets what you need! We are OAK CABINETS NOW! After the 4 major hurricanes that hit Florida we found that many customers were attempting to get cabinets from the major home improvements stores. They were finding high prices and long wait times. So we found a supplier that we can order today and pick up today for delivery. This supplier is Kitchen Kompact! They have now extended the supplies to include Maple! You DO NOT need to have a 4 to 5 week wait time for your Kitchen and Bathroom cabinets. Allow us to come in and visit with you, get your desires and we will show you a design and time frame that we can guarantee. Is Custom your preference? We are now connected with two custom cabinet shops based in the Central Florida area! We can build any type of Solid Wood Cabinet with any color finish or Wilsonart Laminate Cabinet your thoughts can desire! The sky...(well not really it has to be available) is the limit. Time frame of delivery will vary on availability of the products that you choose. To date we have not missed a delivery date by 2 days. Countertop selection can vary from Wilsonart Laminate to any type of Solid Surface! Most of our tops are custom made! We can provide POST FORM countertops with any of the Wilsonart colors. Post form is a very economical way to complete any kitchen or bathroom. Post Form is a prefabricated top that has the back splash formed directly onto the top. Extremely durable for those hard to manage rental properties. So as you can see Dekanworld Inc. has your best interest in mind. You will see our trucks around the state servicing our multi-family division. If you see one of our trucks in your area then we can service your home also. Due to the volume of multi-family installations we handle we get our cabinets at a very affordable volume discount. You can be assured that the discount will be transferred to you. We also have a referral program that has proven to be very beneficial to our new and existing customers.